Stand-Up Tuesdays is a weekly comedy spotlight written by the wonderfully talented Angie Frissore. Covering both known and unknown comics, Stand-up Tuesdays is your new source for all things funny. This week, Angie puts a spotlight on Bobbie Oliver’s comedy career. If you or your comedy troupe would like to be featured on Stand-Up Tuesdays, please email utgjames@gmail.com. There are plenty of self-help books out there, including a plethora of books about getting started in stand-up comedy. One could literally spend months pouring through literature in an attempt to launch a comedy career; thankfully, there’s really only one book you need to guide you down a path towards performing. Comedian Bobbie Oliver‘s The Tao of Comedy: Embrace the Pause is a concise, yet comprehensive guide to ridding one’s self of unnecessary baggage and finally getting down to telling hilarious jokes – highlighting the importance of self-discovery in the art of stand up comedy. Oliver begins exactly where a comedy rookie would begin: with fear. While many people can’t imagine overcoming their fears to perform on stage, Oliver reassures readers that fear is a natural human emotion that even the professionals experience. Using the teachings of Buddhism, Oliver puts the art of stand up into a context that is easily understood by emphasizing the utilization of meditation and breathing techniques and the discovery of one’s true self. Naturally, there are more specific chapters on crafting and perfecting a stand up set, given that The Tao of Comedy is, of course, a guide to performing stand up. Oliver offers real-world advice on everything from fine-tuning the wording of a joke to maintaining an air of confidence on stage – and what’s more, her advice continually speaks to certain aspects of comedy that I routinely discuss. She stresses the importance of being your true self and using material that mirrors something you’ve actually experienced versus relying on hack material that offers no personal connection to your audience. Your audience needs to be able to like and relate to you. 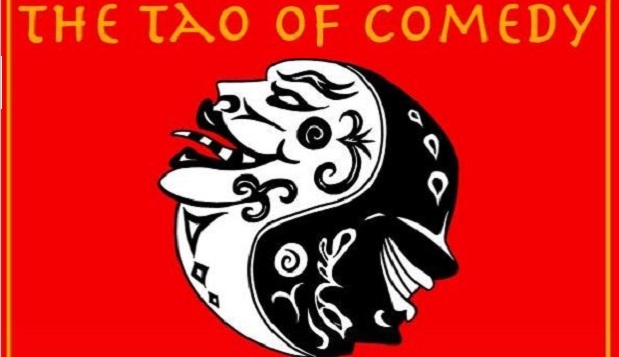 Even if performing stand up isn’t on your to-do list, The Tao of Comedy offers wonderful tips on mindfulness and can serve as a tool to anyone who is faced with public speaking or just looking to find their zen. For aspiring comedians, this is by far one of the best tools you can have in your toolkit as you work to find your footing on stage, as every thought, fear and emotion you’re feeling has been experienced by Oliver throughout her career, giving her an insight and expertise that, quite frankly, can be hard to find (and trust). Oliver’s advice is certainly the best resource there is to help you build a stand up career with substance – provided you pick up a copy of The Tao of Comedy and get to reading.